After a long hiatus from crafting, and then slowly getting into knitting, and then a WHOLE lot of knitting (which I will dutifully take pictures and post here!) I then did a bit of crocheting and then decided to do some sewing including a denim refashion (which I will post as well) and now I’m pattern drafting for a pair of pants. Thanks to Weekend Designer for some awesome pattern drafting instructions – I used them a year ago to make myself some pants and they were great. 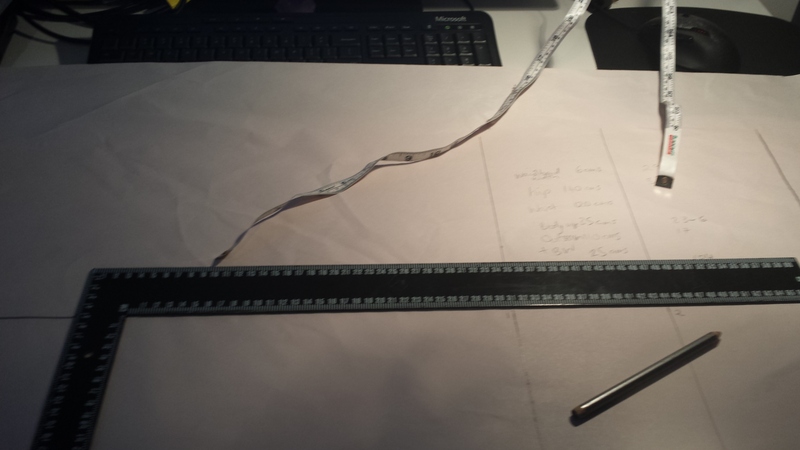 I purchased 10 metres of pinstripe fabric and I plan on making at least two pairs of pants. Thanks Nicks Fabrics for some fantastic prices! 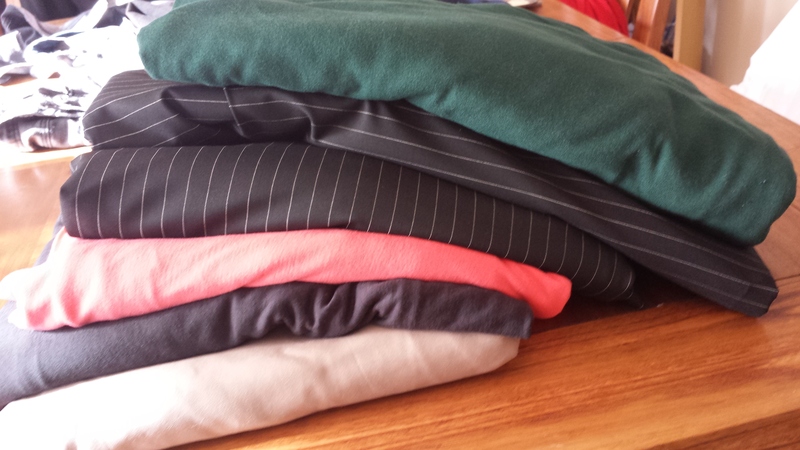 I also purchased 4 metres of green medium weight knit, 2 metres of peach tshirt knit, 2 metres of black merino knit and 5 metres of light weight cotton. My plans at the moment are to use the green to make a light weight pixie hoodie for myself, the peach to turn into two camisoles (if there’s enough fabric! ), the black merino is going to be used to make Emmaly some thermal tops for the winter and the 5 metres of cotton is to be used for lining the pin stripe pants.